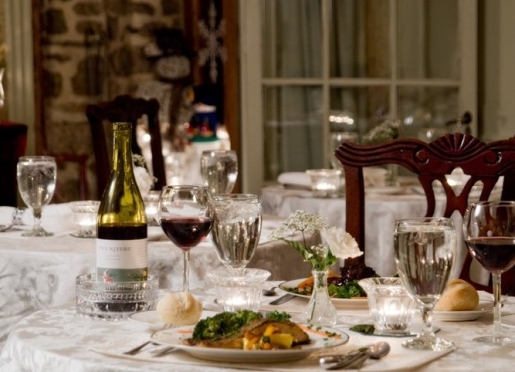 Clamber Hill Inn and Restaurant is a 1920s European-style country estate. We have something special to offer in every season. Petersham is a picturesque New England town. 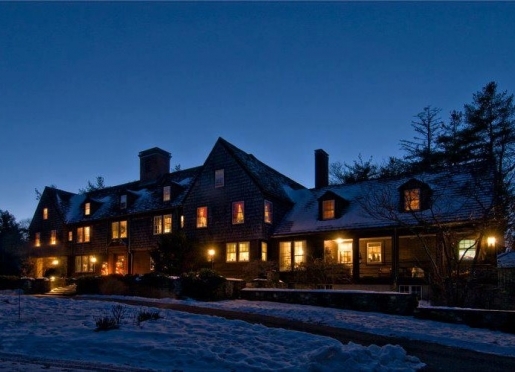 A 1920's European-style country estate, the Clamber Hill Inn & Restaurant sits in the heart of our peaceful, secluded 33-acre woods, just minutes from the Quabbin Reservoir in Petersham, Massachusetts. Located in North Central Massachusetts' pristine forests - known for their dramatic seasonal color changes - not only is The Inn a haven for "leaf peepers" in the fall, but has something special to offer in every season. 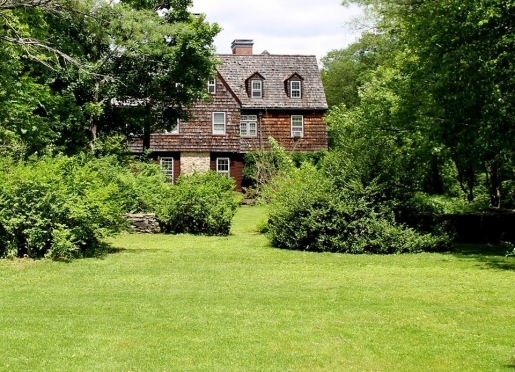 The vacationer may enjoy strolling through the woods and gardens on the estate or taking advantage of the nearby opportunities for golfing, swimming, fishing, canoeing, biking, hiking, or bird watching. Cross-country skiing and snow shoeing are available in the winter months. 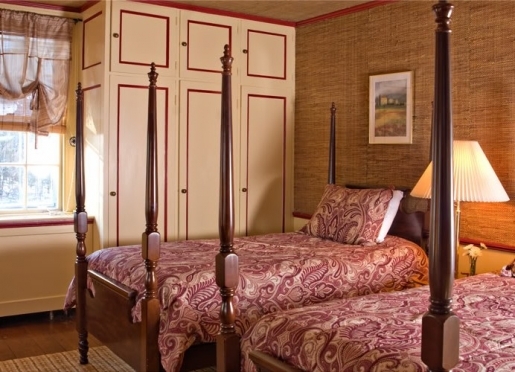 The Inn is the perfect place for a romantic getaway. 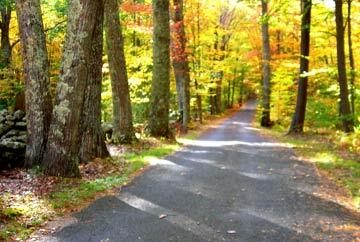 Disappear up the tree-lined drive and leave your cares behind. 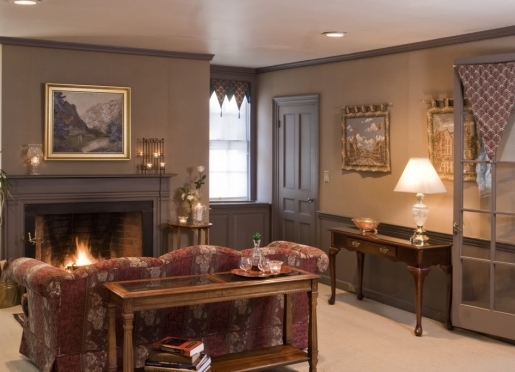 The Inn's accommodations, dining facilities, liquor license, conference facilities, Internet access, fax and copier make it equally appealing to the businessman or woman seeking superior accommodations in the Athol/Orange and Gardner areas. 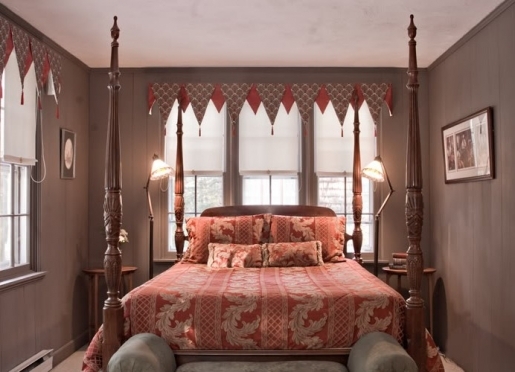 Furnished with antiques, original artwork and Oriental carpets collected by the Innkeepers during their travels, the Inn is a comfortable and relaxing retreat. 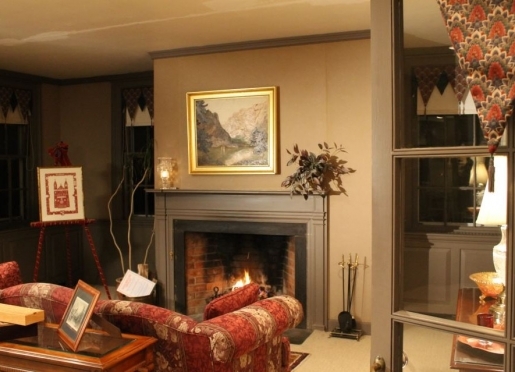 Common rooms include our elegantly furnished library and a comfortable sitting room - both with fireplaces. 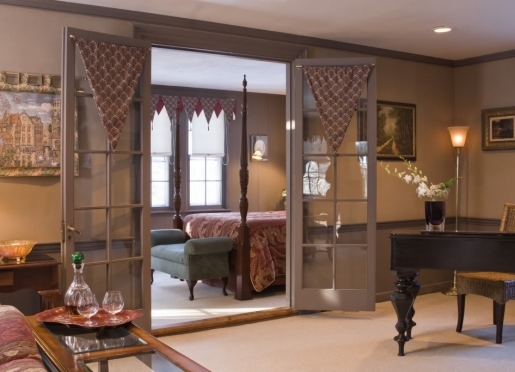 The Inn also offers enjoyable outdoor spaces for the nature enthusiast, our Wisteria Terrace and Sunset Flagstone Patio in addition to perennial gardens and woodland trails. 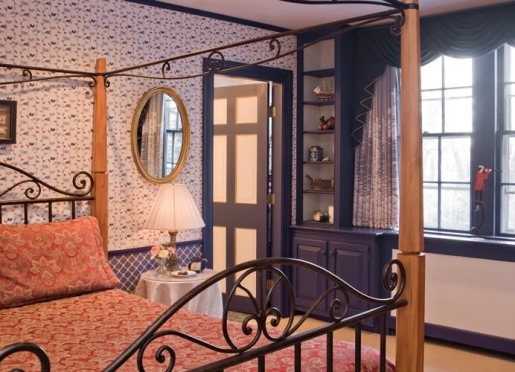 Guest accommodations include a tastefully decorated suite with four-poster bed, private sitting rooms with sofas, desks and working fireplaces, and three spacious double rooms with queen size beds. 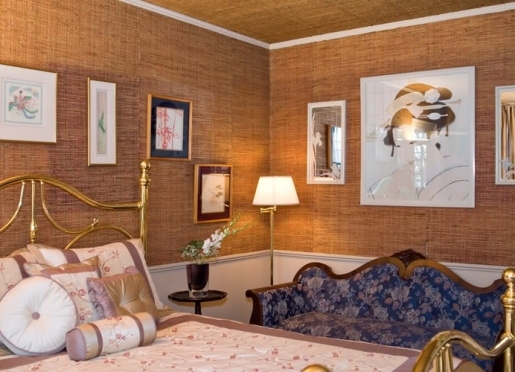 Each room has a unique and individual character; guests may select the European Suite, the Oriental Room, the Nautical Room or the Equestrian Room. 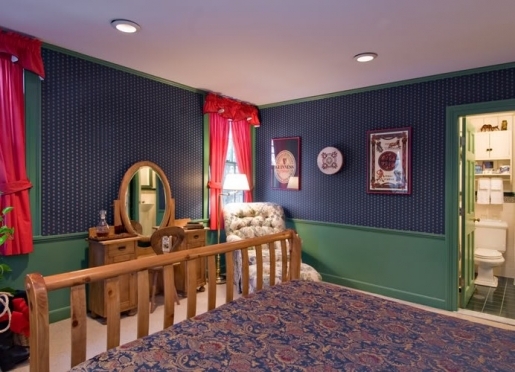 All accommodations have private baths and air-conditioning. Travelers are always looking for memorable and relaxing experiences. Let’s discover more through the words of our innkeepers. Many thanks to Mark & Deni Ellis for sharing her own secrets with BBOnline.com! Guests come to Clamber Hill for a variety of reasons. 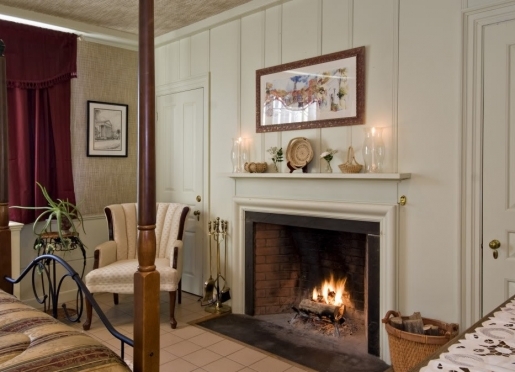 In the winter they come for Romantic Getaways, enjoying the fireplaces in the guest rooms. Valentine's Day is always a peak time. 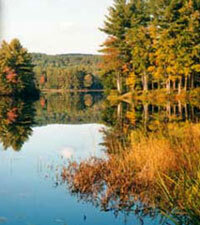 In the summer they come to enjoy the outdoors and natural beauty of the North Quabbin Region. In the fall, tourists come from all over the world to experience the beautiful New England Fall Foliage. 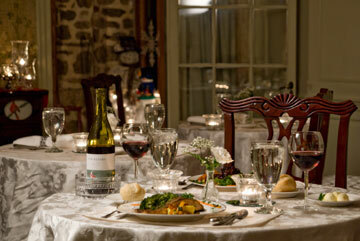 Our Inn is known for its wonderful food. We opened an on-premise restaurant in 2003 to accommodate our guests. We have a great reputation for food and wine. We hold monthly wine tastings and even quarterly whiskey tastings, which are both entertaining and educational. Petersham is a tiny town, not a city. Don't come for the hustle and bustle, come for an escape. We were selected to be featured on Boston's Channel 5 Chronicle in 2013 and we were Yankee Magazine's Editor's Choice for Central Massachusetts in 2005. 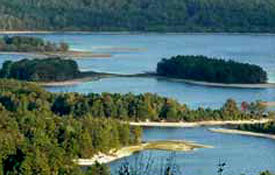 The Quabbin Reservoir, often called the "Accidental Wilderness" is the best kept secret. It's a 30 billion gallon man made reservoir that is Boston's drinking water but has become a wildlife sanctuary with wonderful hiking trails. Fishing is allowed, with boat rentals available April through October. There are many things to do within a half hours drive of the inn. 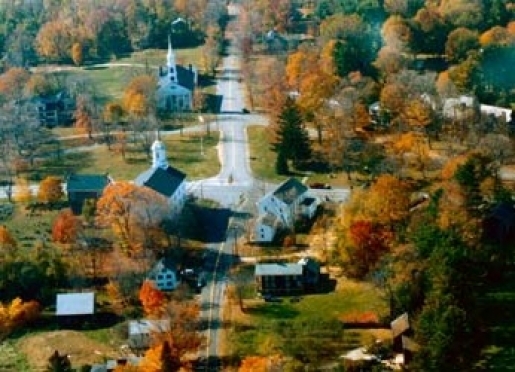 Sturbridge Village and Historic Deerfield are two museums close by. The Butterfly Museum is also a unique and interesting place. 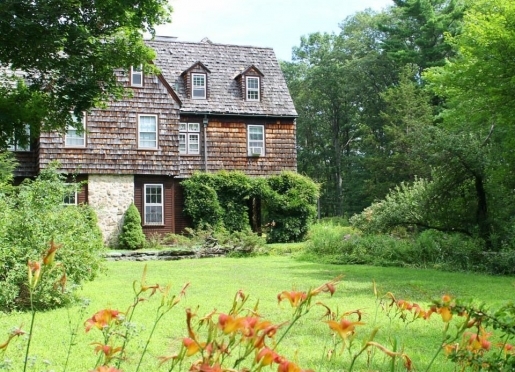 Closer to the Inn is the 1794 Meeting House and the Eagle Hill Cultural Center hosting top notch musicians and entertainment throughout the year. Kayaking, fishing, birding and swimming are great summertime activities and of course in the fall, the foliage is absolutely fantastic. We are a mile north of the Petersham town center. There are hiking trails that take you there or just for quiet walks in the woods. The trails start right at the back door of the Inn. Our own restaurant of course! We also keep a book with menus from other area restaurants so that guests can make an educated decision about where they would like to dine. We try to provide links from our website. 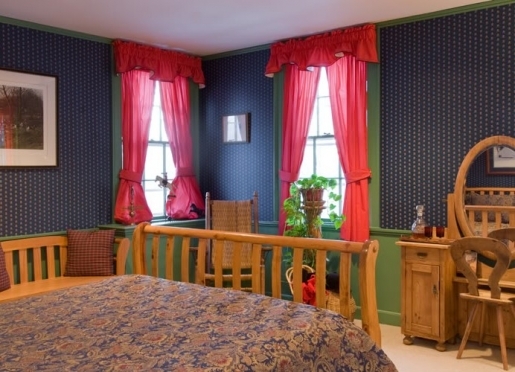 The Inn has just 5 guestrooms, so even when we are full, it is quiet. 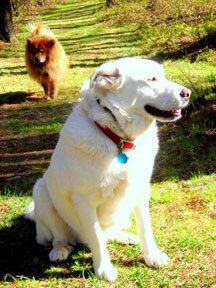 We do accept well behaved dogs. 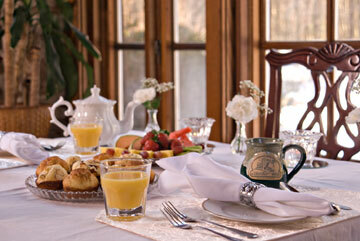 We do ask that they not be left alone in the rooms except for breakfast and dinner at the Inn. 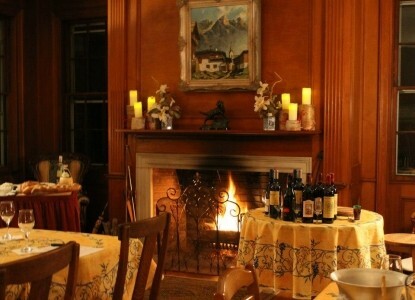 The Inn operates a small intimate restaurant, open to the public on Thursday, Friday and Saturday evenings from 5 to 8 pm. Our restaurant provides the perfect setting for life's celebrations big and small, everything from simply starting the weekend off right to special Birthday and Anniversary celebrations. Our service is also European Style, personalized with a relaxed and unhurried pace to create a truly enjoyable dining experience in a secluded romantic setting. 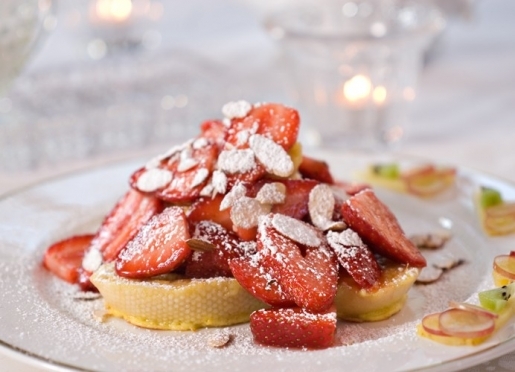 Serving American Cuisine with a European flair, the Menu is deliciously diverse. Each and every item, all appetizers, soups, salads, entrees and desserts, is made on premises by Chef Mark Ellis, from the finest and freshest ingredients available. Our desserts vary according to season with such items as Strawberry Shortcake in the spring, Key Lime Pie in the summer and Apple Pie in the fall. Our Chocolate Decadent Brownie, pictured above is the all time favorite and almost always available. Specialty coffees (espresso, cappuccino and latte) and International Coffees provide the perfect finishing touch. The Inn offers a premium bar, an eclectic variety of high quality bottled beers and a small but premium wine list. Our wines are carefully selected to match our food and typically have Wine Spectator ratings from the mid-80's to low 90's. They are sourced from Europe, Australia, and New Zealand, in addition to California. Our by the glass offerings give you a chance to explore new and interesting wines. 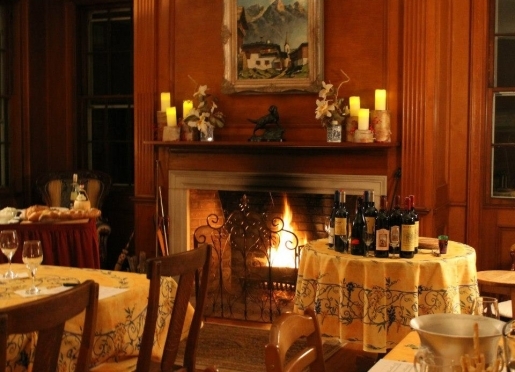 The Inn is offering a series of prix fixe wine pairing dinners this year, Third Thursday Wine Pairings at Clamber Hill, featuring cuisine from various European countries. Recipes Mark and Deni experienced and collected during their years in Europe. 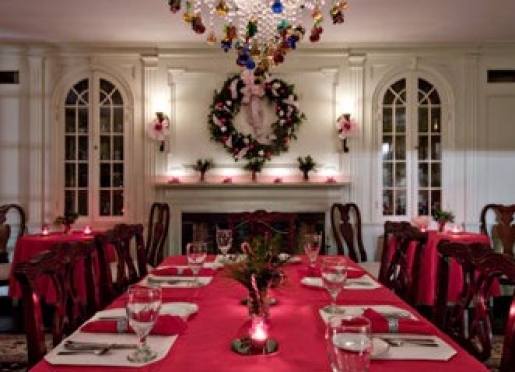 The Inn also offers special menus for the different holidays. Check our special holiday menus for Thanksgiving, New Year's Eve and Valentine's Day offered this winter. We also offer banquet dining (lunches or dinners) for small groups (6 to 20 guests) any day of the week with advanced arrangement and menu selection. This private dining is a popular with local businesses and for birthday, anniversary, retirement or holiday celebrations! Reservations are required. Please call us at (978) 724-8800 to make reservations. If you have food allergies please let your waitress know, we can easily accommodate most customers with special needs. 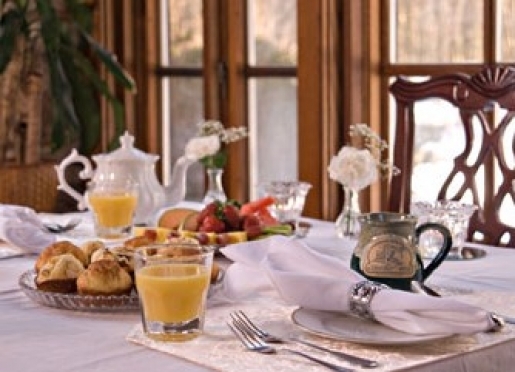 With The Inn's 33 wooded acres, guests may choose to stay close by to enjoy the change of seasons. 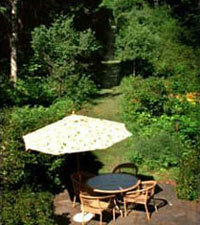 What better location than Petersham! Over 4,000 acres of protected woodlands are made available for public enjoyment. Avid "leaf-peepers" and bird watchers will want to reserve early to ensure accommodations. 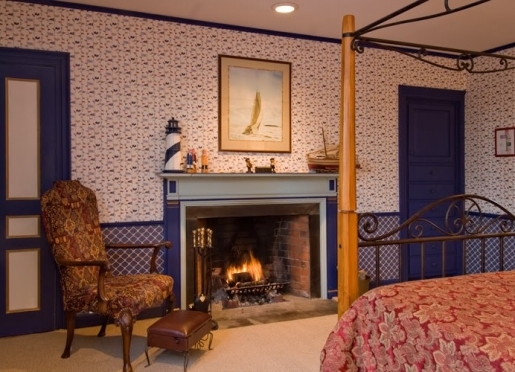 The Inn is conveniently located near fresh-water swimming, bird-watching, hiking, bicycling, golf, and in the winter, cross-country skiing and snowshoeing. For downhill skiers, Mt. Wachusett is less than 30 minutes away. One mile from The Inn, golfers will find a rare gem of a nine-hole Donald Ross course at the Petersham Country Club. Visitors and groups are always welcome. Let us know and we'll make arrangements for you. The Club and course are open April through October. 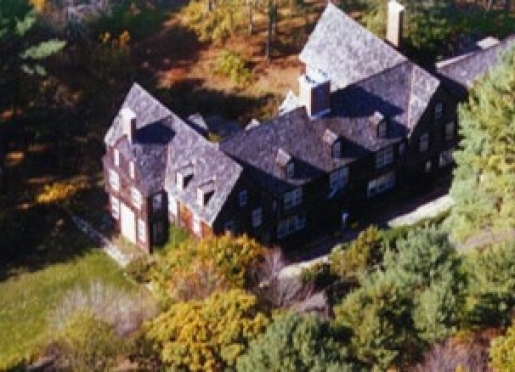 Not to be missed is Harvard University's forestry research center and Fisher Museum less than three miles from The Inn. The 3,000-acre Harvard Forest offers trails for hiking and horseback riding, and a natural history learning trail. The Fisher Museum with its 23 lifelike dioramas, multimedia forestry and ecology presentations and collection of colonial-era artifacts is a must-see. The Museum is open year-round. 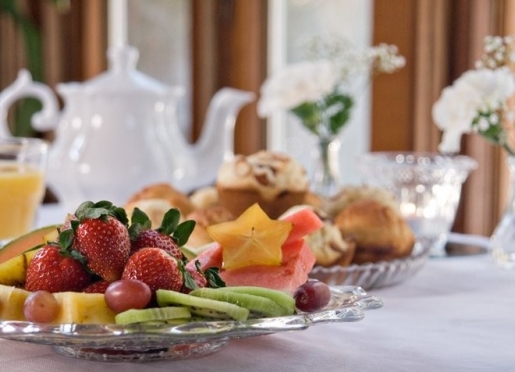 Breakfast is a gourmet delight and includes items like fresh fruit, hot apple crisp, homemade cinnamon rolls, Belgian waffles with fresh strawberries, peach stuffed French toast and wild blueberry pancakes made with Clamber Hill blueberries. 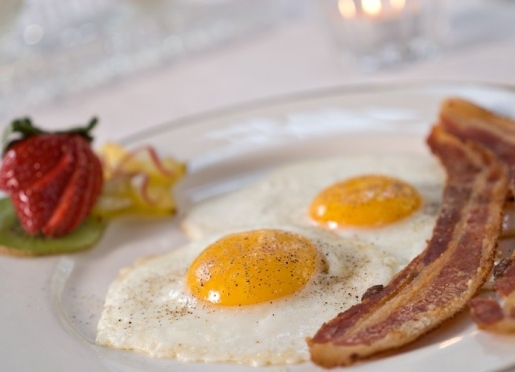 Traditional breakfast fare is available upon request. Dogs are welcome for an additional charge. With 33 acres of gardens, woods and hiking trails, the Inn is the perfect place to take a vacation that your dog will enjoy also. Please call for more details. 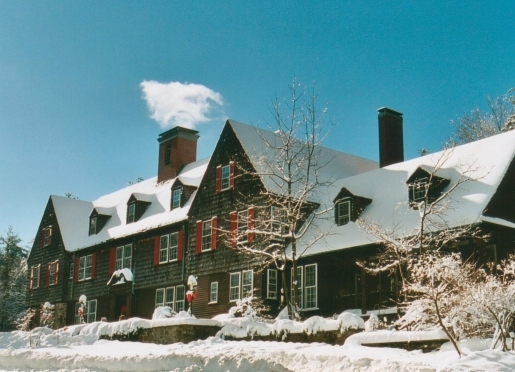 The Inn at Clamber Hill is located on Mass. Route 32 in Petersham, at the intersection of Rt. 32 and Rt. 101, one mile north of the historic, picturesque town common. Pertersham is 35 miles northwest of Worcester, 70 miles from both Boston, MA and Hartford, CT and 120 miles north of New York City. The Inn is within easy reach of three major highways: Just five miles south of Rt. 2 at Exit 17; approx. 20 miles north of Mass. Pike (I-90) Palmer Exit; and 30 miles east of I-91's Greenfield Exit. Detailed directions and maps are provided with your confirmation letter. We were also noted in the Yankee Magazine's Editor's Choice in 2005! Children are welcome at the Inn at Clamber Hill under parents' supervision.